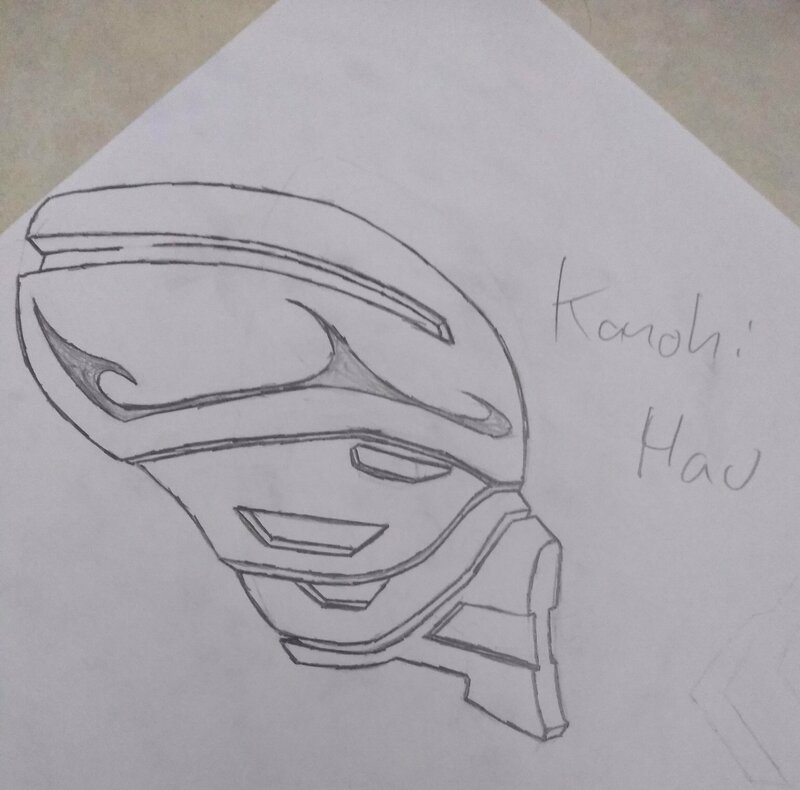 These are two Kanohi I drew, based on some famous kanohi, the kanohi hau and the kanohi vahi. 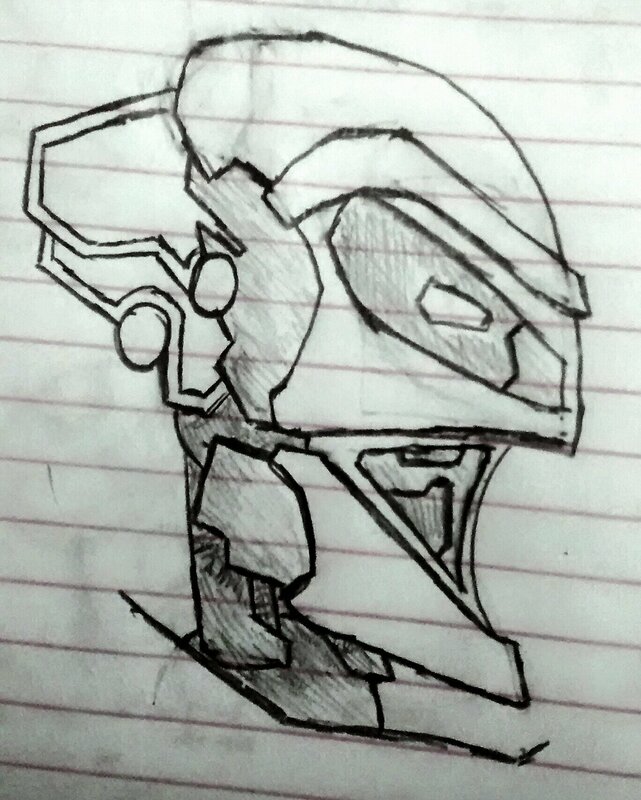 There were re-stylized in my own art style, that I have been making for bionicle. I hope you enjoy them. They look pretty swell to me! They look like they’d be some sort of ceremonial or historical variants of the original mask. I was trying for a more ceremonial approach. 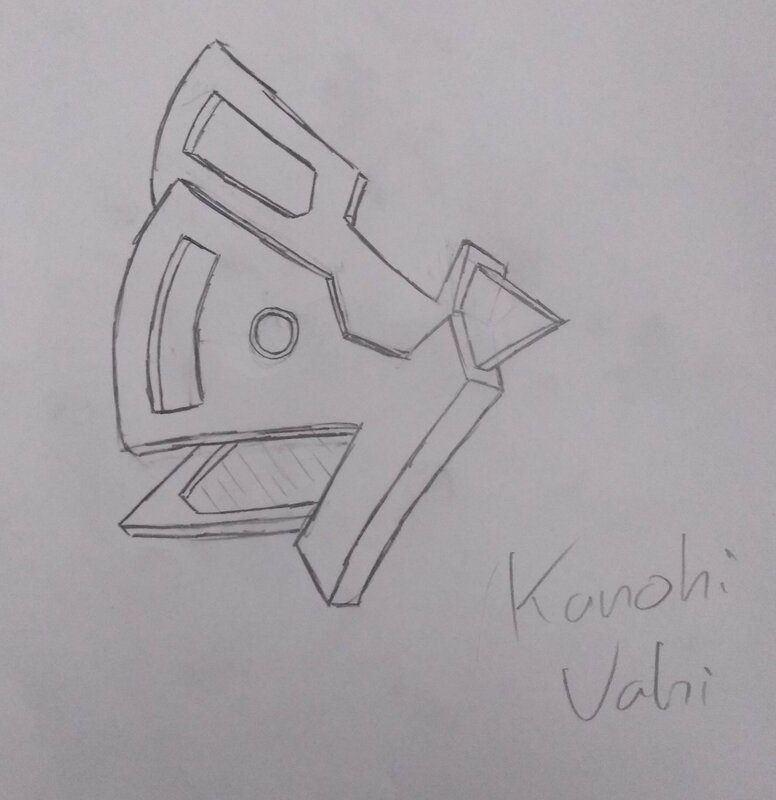 The vahi was mainly designed to appear older than the hau in this picture, eventually I plan on doing the rest of the original 6 masks, may be Teridax's as well, but that a possibility. I also don't know the future so I can't say how many I'll do. these are really neat! The Vahi is a tad difficult to recognize, perhaps because of the angle at which it is drawn. other than that, these are extremely well done! You should do some more of these, and maybe even expand to people wearing them. It could be a new style of bionicle overall! Yeah, I kind of drew inspiration from G2 and G1 on the Vahi...and the rest is history, all the pictures are pretty much side shots, at an off angle to show a bit of the front. 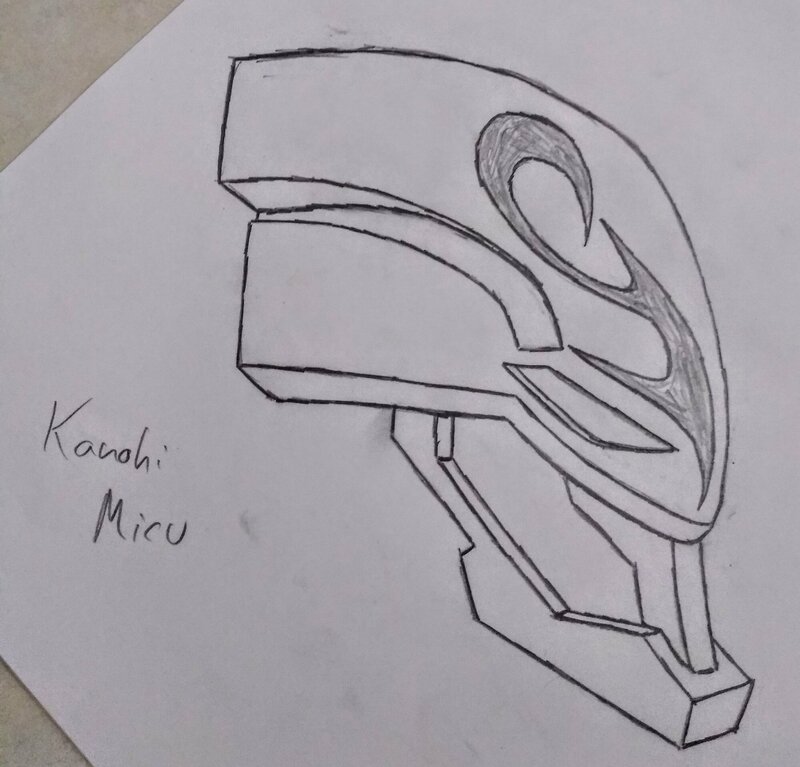 For the person(s) underneath the mask(s) I'm in the process on figuring out the head design, I have a few version in mind. Can't wait to see more, these are really awesome. I hope you like it. I was mainly inspired by previous designs I made of the mask and incorporated them into the mask. However I did drift from this original design. 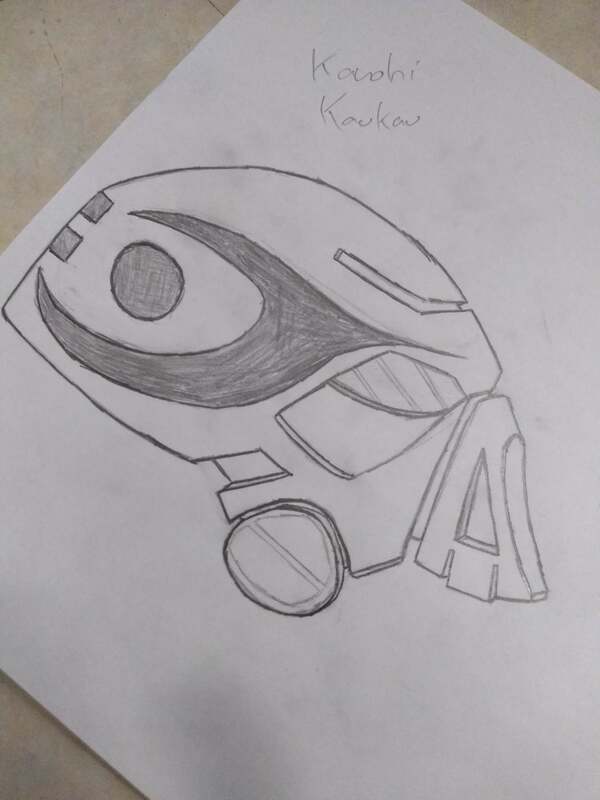 With the Kaukau, I drew inspiration from the original and the gen 2 variant. However I strayed from both designs and focused on keeping elements or features of them. I partly came up with most of the design, so it would fit the same style as the other three. 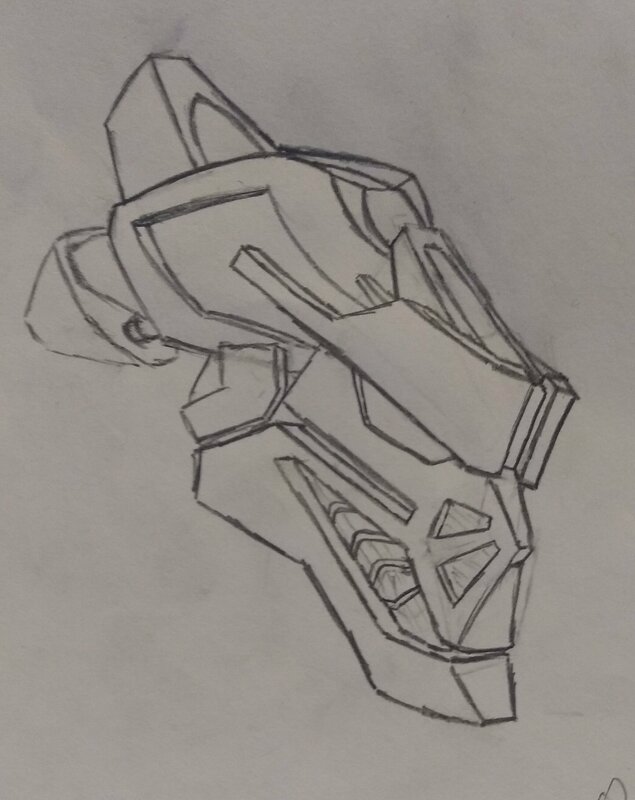 With this head design I went leaning more towards the metru style, but I did reference the Gen 2 variant and the original, the the referencing of the original is much harder to see.